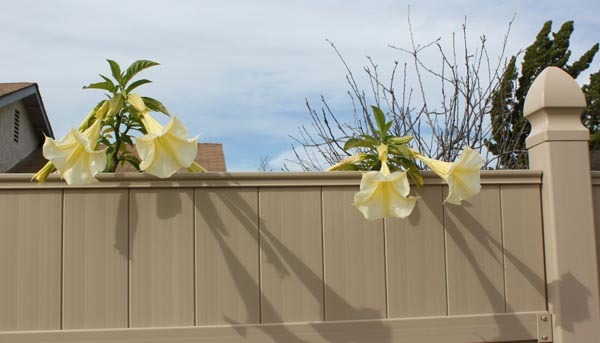 I noticed across the street from me that some flowers were looking over the fence. Maybe they were trying to escape because the grass is greener in my yard, but what ever the reason they are beautiful. They were big blooms and I realized that I could stick my camera lens right inside to take a photo which of course I did. The afternoon sun was shinning through on the petal on the left side. If you click on the image you will get a real big version of 66 × 44 inches at 72 dpi. 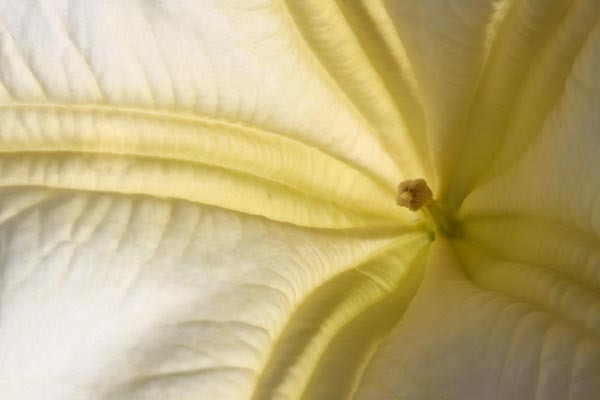 The plant is Brugmansia, also known as Angel's Trumpet. It is native to South America and it is a highly toxic plant that may be fatal if ingested by humans or animals. As pretty as they are I probably would not plant these in my garden.